If you’re a fashion or showbiz (or both!) 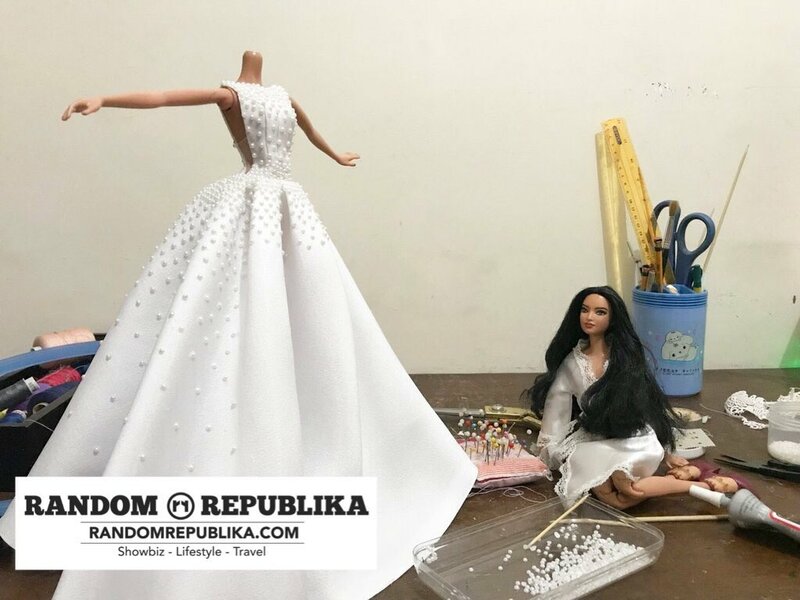 enthusiast, 23-year old doll dress designer Alvin Ocampo‘s Instagram feed will definitely be a visual feast for you. Bin, as he is fondly called, is a Tourism Management graduate of Far Eastern University who currently works for their family’s construction company. Doll dressmaking is just a hobby for this young creative whose subjects are the country’s best-dressed celebrities. 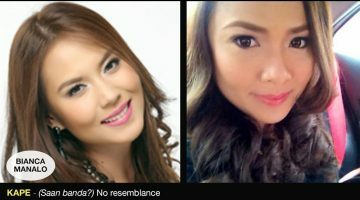 He has a knack for transforming celebrities like Marian Rivera, Kim Chiu, Kathryn Bernardo, Pia Wurtzbach, and Heart Evangelista (and more!) into doll versions. 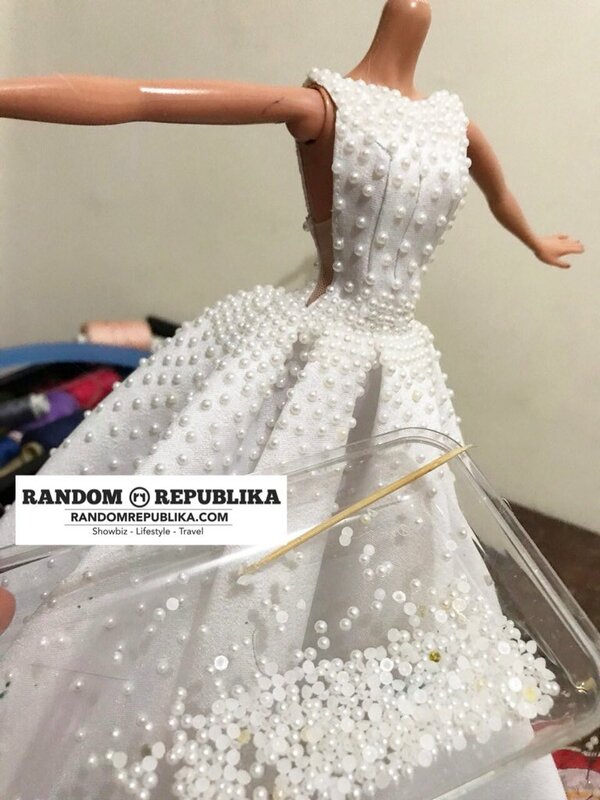 To complete the stars’ transformations, he creates miniature replicas of the celebrities’ dresses designed by top names in fashion. To mention a few, Bin has mini versions of Michael Cinco‘s, Francis Libiran‘s and Mark Bumgarner‘s masterpieces. His choice of subjects depends largely on the dresses’ designs he likes. 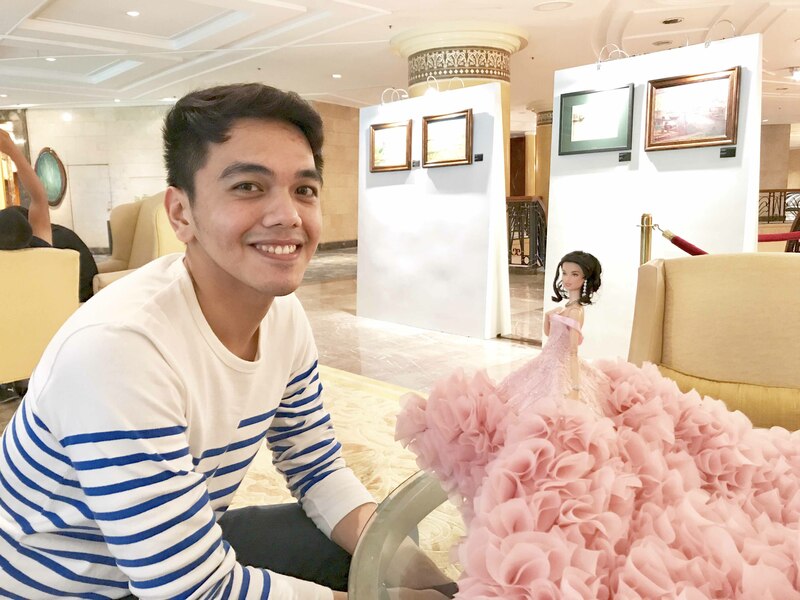 Alvin Ocampo | One of his recent projects is a Kisses Delavin doll. 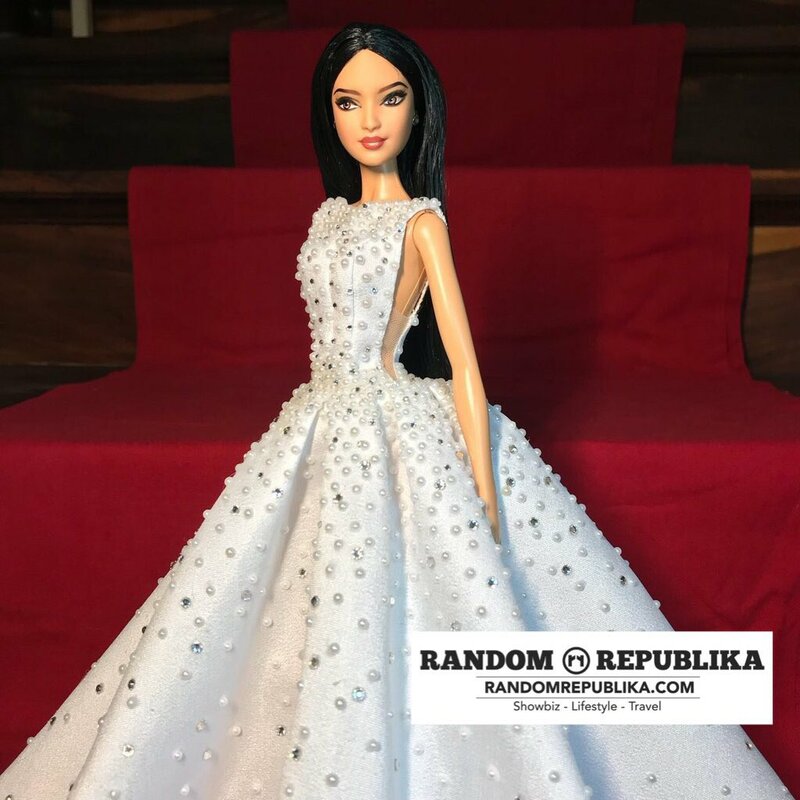 Kisses’ debutante dress by Francis Libiran was beautifully transformed. MORE on this on PART 2 of this feature. As of the moment, Bin is focused on doll dresses since he has no formal training in design yet. Yes, the guy’s a self-taught designer without any background in fashion. It must be a real gift coupled with passion to come up with ideas on how to mimic life-sized creations. Bin shared that a friend who’s into the same hobby becomes his consultant. He said, “I have a friend who’s also into doll dressmaking. He helps me sometimes with the pattern making and the types of fabric to be used.” When asked if he considers making dresses for real women, Bin said he’s considering taking a fashion design course soon. Bin is enjoying his doll collection (he has around 20 dolls as of August) for now. While he is not yet into selling his masterpieces (there’s just too much of his heart and hard work that go into each doll! ), Bin is open to doing commissioned work for interested clients. He’s still in the process of putting up a page where his finished products and other services can be featured. If you’re interested, his contact details are provided at the end of this article. 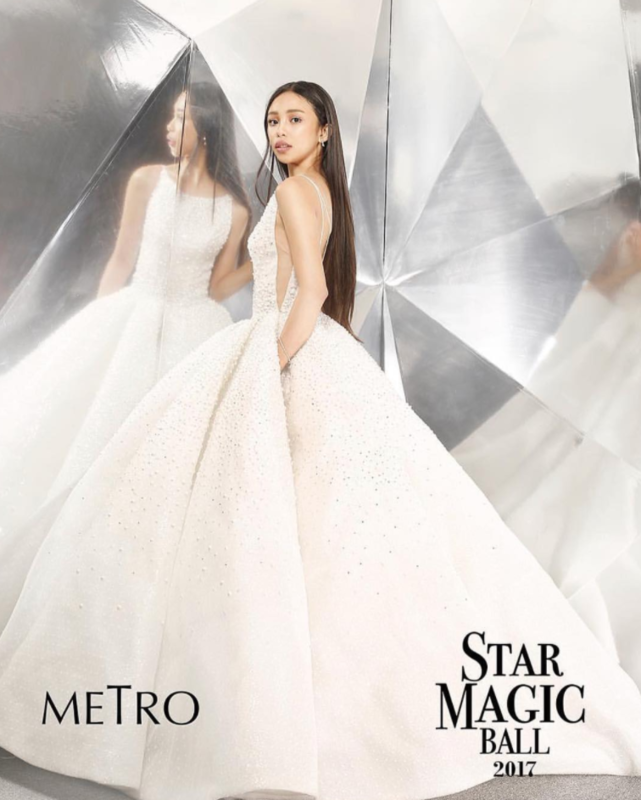 Check out our featured artist’s impressive take on Maymay Entrata‘s Star Magic Ball 2017 look. 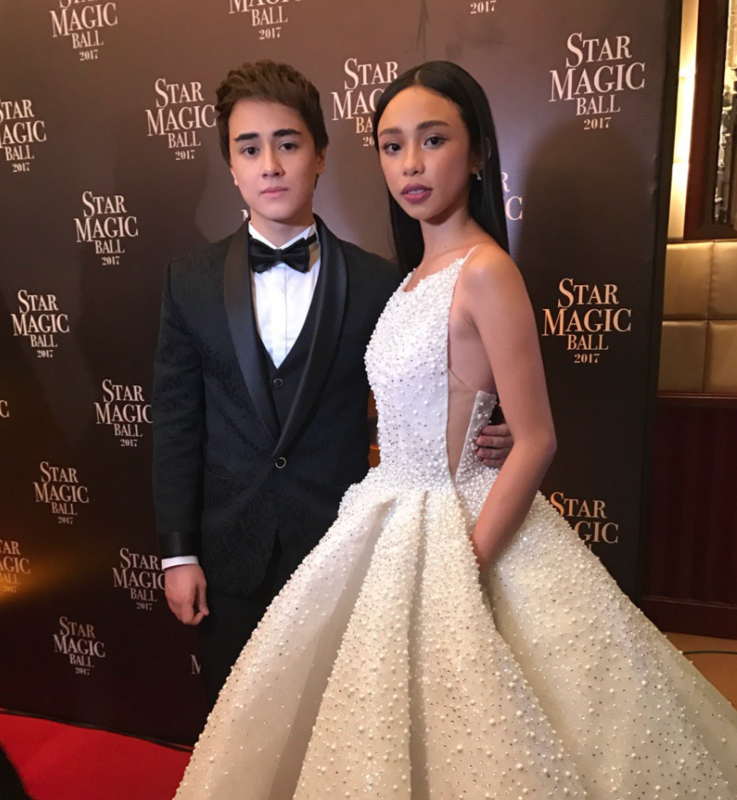 It’s Maymay’s first time to attend the star-studded annual event. Despite being a first-timer, Maymay carried her attire like a pro. 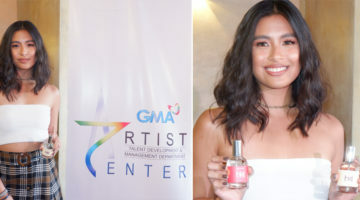 She made it to numerous Best Dressed lists when she wore a custom Mark Bumgarner ball gown fully embellished with white pearls and Swarovski crystals. The side slits covered with sheer cloth make an interesting part of the creation. It adds sexiness to a seemingly conservative ball gown. Sewn mini dress with each pearl and sequin carefully placed. Did you watch the behind-the-scenes video above? | Bin shared that it takes months for some doll dresses to be finished (Kisses’ for example) depending on the design requirements. On the morning after the much-talked about Star Magic Ball 2017, he got inspired and picked up his materials. Bin must have gotten so inspired that he was able to finish the whole project in a day. ONE-MAN GLAM TEAM. The cutest part is how Bin has dabbled in doll hairstyling as well. The hairstyles complete the looks of his miniature replicas. 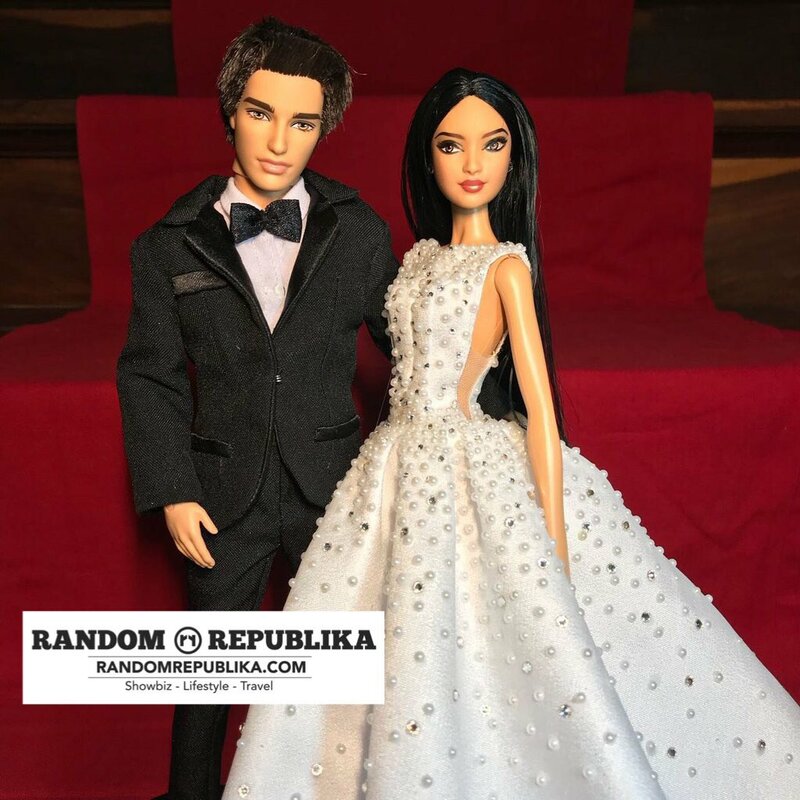 In this case of Maymay’s doll version, Bin’s Barbie doll is curly-haired. The curls were set with hairspray that he had to wash off the product from the hair first before ironing it to straighten. 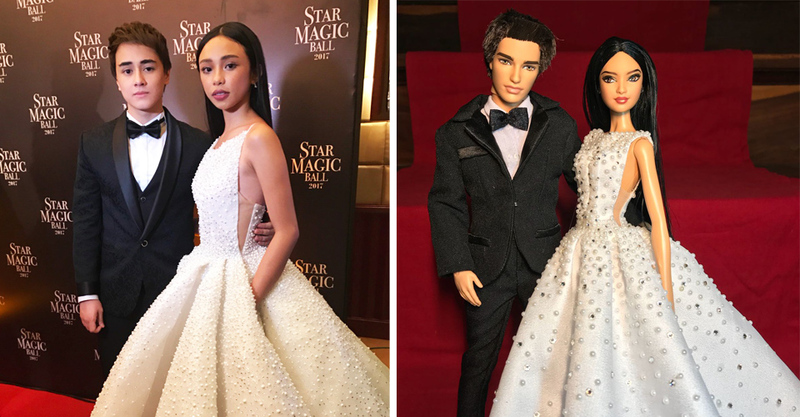 Yes, just like Maymay, the doll had to go through a lot to achieve the lovely look too. Alvin’s amazing miniature version of Mark Bumgarner’s masterpiece. The fully beaded gown is beautifully recreated. Who would have thought that the doll’s sleek, long black hair used to be curly? Great job, Bin!